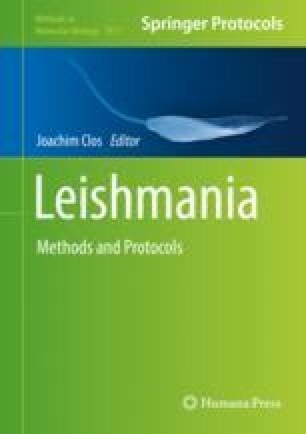 Animal models are needed along the development and evaluation of potential chemotherapeutic agents against leishmaniasis. Infections of Syrian hamsters with Leishmania species causing visceral leishmaniasis (VL) closely mimic the disease in the natural hosts, including target organs, lesions, and clinical course. Therefore, despite some shortcomings (e.g., genetic background, price, and scarcity of reagents), it is probably the best laboratory rodent model of VL. However, handling of hamsters can be technically challenging because of their particular anatomy. Here, we describe in detail four different routes to establish an experimental VL in the hamster model using Leishmania promastigotes and amastigotes. Each route requires various manipulations and has different benefits and drawbacks. Choice of the most suitable route should be made by the researcher in accordance with the specific plan and purpose of the study. This work has been partially funded by the European Union’s Seventh Framework Programme for research, technological development, and demonstration under grant agreement no. 603240 (NMTrypI—New Medicines for Trypanosomatidic Infections). http://www.nmtrypi.eu/. Collaboration with Evidence-Based Advisors (P + 3A) is acknowledged.